Everyone needs to feel heard, appreciated, accepted and needed. And yet, most people on the neurodiversity spectrum (Asperger's, Autism, Etc) haven't felt much of that in their life. A live-work program created for learning new skills, building confidence & having an instant welcoming community, specifically designed for young adults. Weekend and week long gatherings designed for fostering new friendships in a welcoming setting. Facilities & grounds intentionally designed to be non-overwhelming and pleasant to be in. 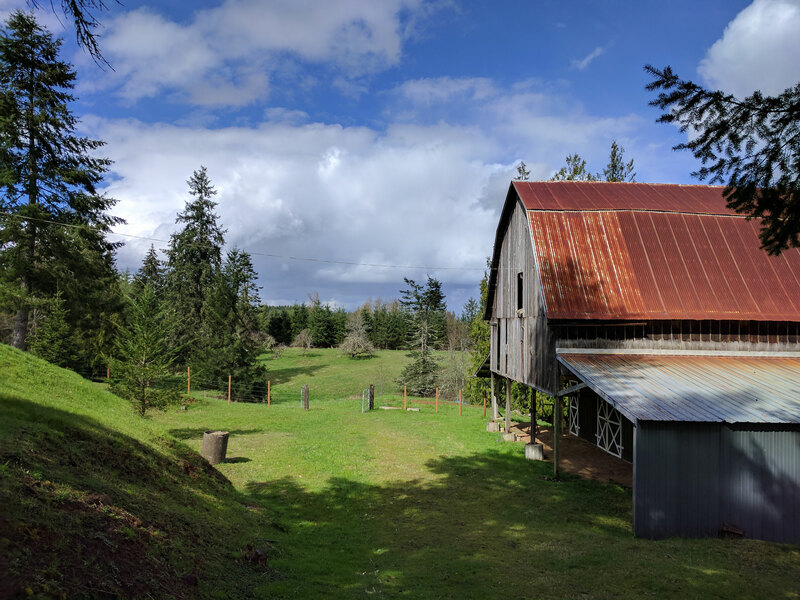 We started offering camping weekend in the summer of 2017 on land that was generously opened to us by Seth MacNeely of Grey Owl Hollow in Centralia, WA. In our first year, over 60 people came out from as far away as Atlanta, Georgia to participate in camping, working the land and making new friends. Now, we've successfully offered 2 summers full of camping, with alternative programs such as Dungeons & Dragons weekends & Live Action Role Playing. 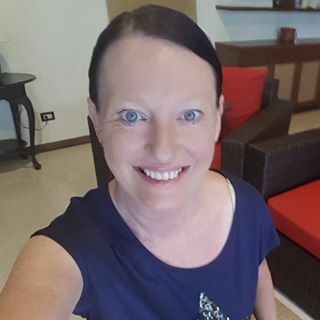 We've been written up in 2 newspapers, and successfully held our first international retreat in Koh Samui, Thailand, in partnership with Asperger Experts. Going into our third year, we're offering more camping, as well as activities in Seattle during the winter. 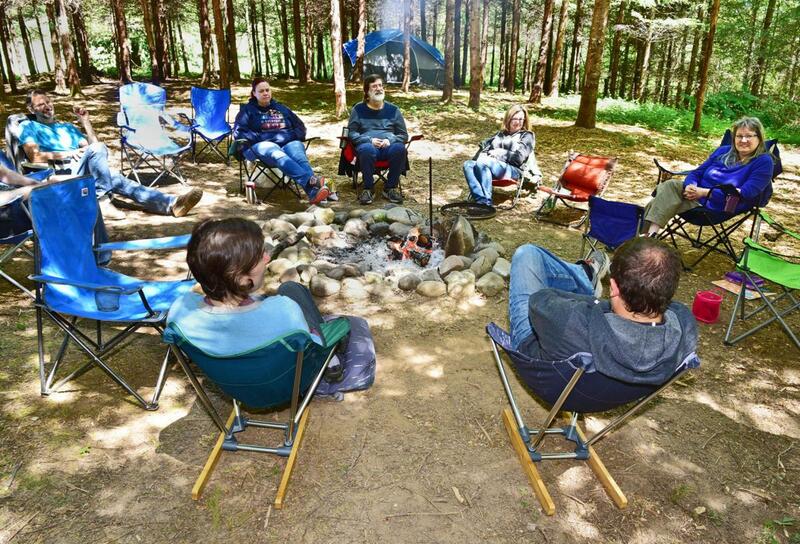 "My twelve-year-old said, "Hey, Mom, did you know there are MORE camping weekends this year?!?" He really liked the shower setup, especially after a weekend camping without a shower the week before. He liked the bonfire, fireworks, ... and just being out in nature. Seth and his family were very welcoming, wonderful people; you need a host like that to make folks feel comfortable. Thanks!" "Thank you for being my tribe, you guys are the safe place that I have that I didn’t know I needed. I cannot explain to you all how calm I now feel. I honestly didn’t realize how much I needed the retreat, it has changed me in such profound ways that I cannot articulate it much less understand the change, our time together has been a turning point in my life. It wasn’t until I came home that I realized you were the first people to tell me that [my son] was going to be ok, even at the time when some of you said that to me the significance was lost but now when I think about what was said to me I realize you are right, he is going to be ok. I now know that I can let go of the anxiety I was holding on to around [my son] and his social/emotional present and future. Writing that statement brings me to tears. I want to thank each and everyone one of you for changing the trajectory of my life you have all played a major role in how I feel about myself, every single one of you have been a part of showing me how to start my journey to emotional strength and I can never repay you all for that gift. "My 13 year old gave it a 5 star rating with the bonfire, swing, fireworks, and the communal fire pit. He loved meeting new friends where he could just relax and be himself. He said it was Excellent. I really appreciated how everyone was so friendly and helpful and we all came together for a successful weekend. Usually I’m pretty anxious making sure everything is going well and getting done and I didn’t have that this time. My husband wants to tell my son’s scout master about this place and bring them here." "[My son] sent me a message from school yesterday that he was having an anxiety attack (existential crisis - he worries about death and dying and if there is anything "more"). Normally this would mean a trip to sick bay and a call for me to come and get him, but he texted that he was going to try out some of the things that taught him - and guess what!? No going to sick bay, no crippling anxiety - just did some breathing and then got back on with it! Amazing and life changing - YES!" "Peggy, whose child is on the Autism spectrum, has camped at Acceptance both summers with her family. She appreciates the opportunity for her child to make friends and for her to make connections as well. 'I do feel isolated,' says Peggy. 'So, coming here is my chance to meet other people. And there’s at least some understanding among all the people here so you feel like you can relax because the life they’re describing sounds exactly like mine. It’s nice to know that you’re not alone.'" "'This is a pretty cool place to camp,' he said. For the parents of kids like Allen, these moments are more than simply endearing. They are glimpses at the amazing kids these parents know they have. And this space, a campground called Acceptance: A Transformative Place is a chance for their entire families to rest and recharge from the toll that living in the spectrum of Autism disorders can take. Located between Centralia and Rochester, Acceptance is the brainchild of Danny Raede, CEO and co-founder of Asperger Experts, a Seattle-based online Asperger’s support and education clearinghouse accessed by 500,000 people in 89 countries. Raede, who serves as the Director for the Board of Acceptance, was diagnosed with Asperger’s at age 12. " In this phase, we'll secure a piece of land in which to build our permanent campus on. Right now, we host camping activities each summer on land that we've gotten permission to use, just outside of Centralia, WA. While this land is great for running programs on, it isn't controlled by us, so we're unable to build or improve on it long term. So in order for us to fulfill on our mission, we'll need to secure our own piece of land. 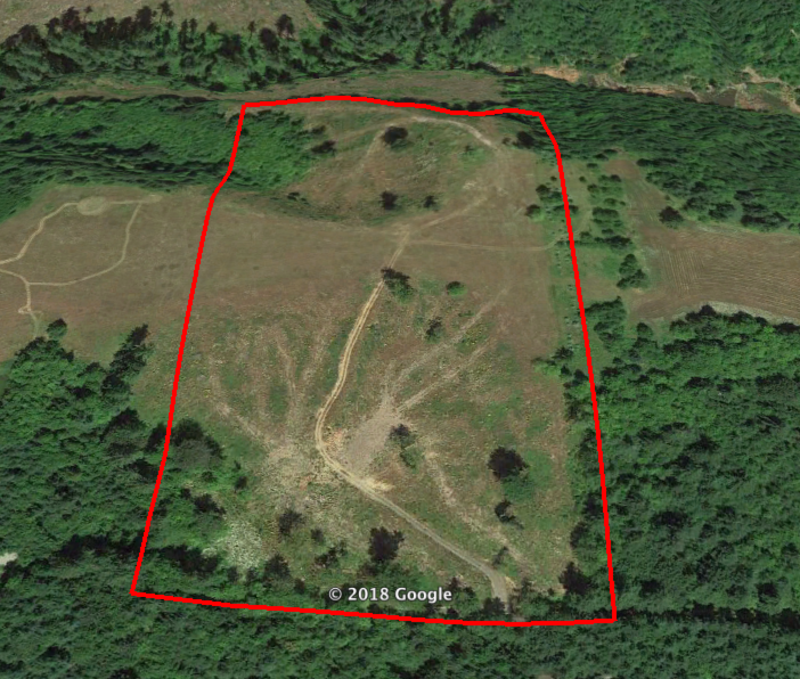 We're looking at several locations around the Centralia, Washington area, with hopes to remain as close to our current campground as possible. 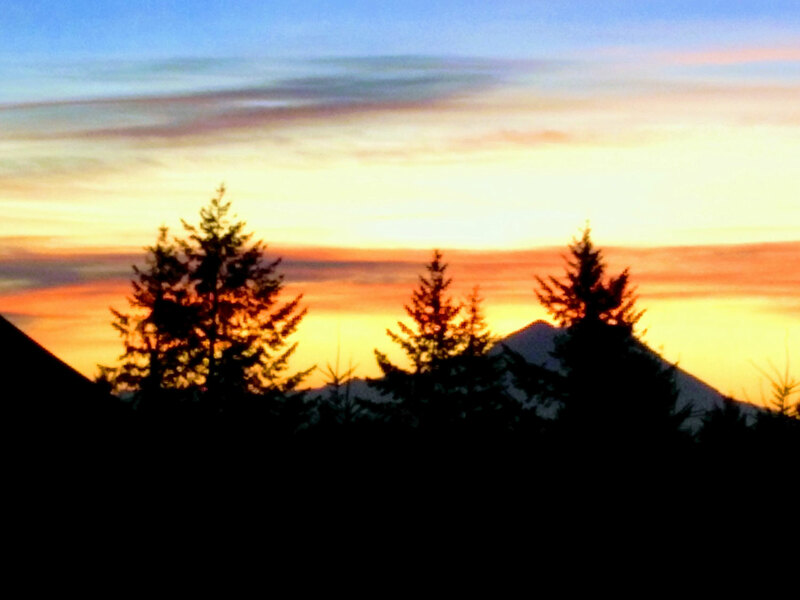 15 minutes from Centralia, WA. 1.5 hours from Seattle & Portland. Right next to our current camping location of Grey Owl Hollow. It is close to civilization, yet it feels like you are in the middle of the wilderness. Note: This description comes from our architectural partners at Communitecture. The depictions of the designs all include "passive haus" style thick insulated envelopes, so that they will be super efficient and require a minimum of energy inputs. They are all based on strawbale, so the exterior surfaces depict plaster finishes with yellow ochre iron oxide finishes. They can all be called passive solar in design, though they don't address south directly. Each roof uses integrated solar electric shingles (or panels), and all feature water catchment and grey water systems. You can see some of these systems expressed externally. There are also external living areas. Each is also snuggled into astounding edible landscapes of annual and perennial gardens, and orchards. Each cottage cluster features water catchment, on each building, as well as rain garden swales and a pond set adjacent to a common green space. Each cottage is nestled into the land form and landscape design The paths that link the clusters include ADA paths as well as more direct routes with stairs or steeper paths. There are also service paths to each cluster so that maintenance and other concerns are accessible. The larger landscape features small and large meadows, as well as huge phase-able meadows that can be implemented as a feature of Acceptances special programming. Also included are the living willow domes on the ridge opposite the staff building, with exterior spaces defined by vegetation and trees. There are also other exterior rooms that are simpler. A couple of clusters of trees with interwoven branches create more living architecture, and there are also some sweet "individual and small group spaces" located around some key trees (Oak usually), and also some sweet little meadows crafted out of the overall design. In the SW corner, the landscape is cut and filled to create a sweet meadow and pond. No trail to this, so it is a secret to find, nestled into some concentric trees and aimed at the rising sun. An incredible passive water catchment design is installed across the overall landscape. In honor of the new "Basin of Relations Water-Spread" theory, this is the ultimate approach to "slowing, spreading, and sinking" water so that not a drop is lost or wasted. The idea is to install landscape grooves running horizontally along contour lines, and alternate them A-B so that, generally, every other row is a phased-blooming of pollinator beneficial flowers from early spring to late summer. Then, every other row features small medicinal herbs and edible shrubs, berries, or habitat plants. By being on contour in this way, the entire site becomes a passive water catchment strategy that builds biodiversity and abundance every time it rains. This idea also includes the installation of edible orchard fruit and nut trees that can be maintained by an independent contractor, and or in part by acceptance attendees and staff. Once we acquire our land, we'll shift our focus to building out our facilities & campus, while still running our usual camping & city activities. Our campus buildings will be constructed out of natural building materials, such as clay, wood & straw and we've already begun working with Communitecture in Portland, OR to plan and design our facilities. We're constructing in 2 phases: First the essential facilities, and then later we'll expand from our initial 6 cabins to a full 10, as well as add in other facilities based on demand. We also will heavily involve our community in the actual building process as much as possible, because we've seen that one of the best ways to create new connections & friendships is to work together on a project, seeing something to it's completion. This also helps us save on labor costs. ‍Prepared By Communitecture: Architecture | Planning | Design & Vital Systems Natural Building & Design. Once our facilities are constructed, we're ready to begin operating at our full vision. We'll offer week long and week long programs to families, young adults and other populations in need. While there will be a cost to attend, we plan on offering a robust scholarship program for those that can't otherwise afford to come, to make sure that everyone has access to our facility & services. And we'll also be partnering with local suppliers & farmers so that we can strengthen our ties to the local community, get fresh produce & support the local economy. Finally, through our young adult internship and apprenticeship program we'll flip the script on the usual transition model by offering young neuro-diverse folks a paying, 6 month internship where they'll learn real life skills while being supported & coached in an accepting environment. Our Full, Estimated Operating Budget For Our First Year Of Operation. 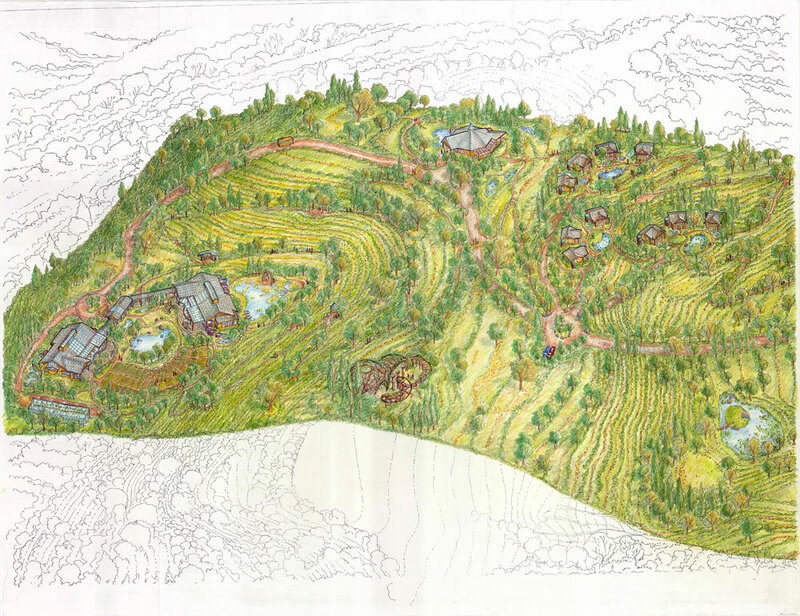 Depending on the demand we get and the financial backing we receive, we're prepared to go beyond a simple retreat center facility and work with our partners to establish a permanent co-housing village & homeschooling collective for our community. There isn't much choice out there for a different way of life for people with neuro-diverse issues, and we aim to fix that. As the saying goes, it takes a village. So let's build one.